Public sector industry constitutes the backbone of economy for any nation. Apart from being a significant source of revenue it also enables the government to function efficiently while ensuring the well-being of its citizens. Over the past couple of decades, with vast technological advancements in various industry sectors, public sector has also evolved into a technically equipped, high functioning industry engine with ever-increasing employment opportunities and services. 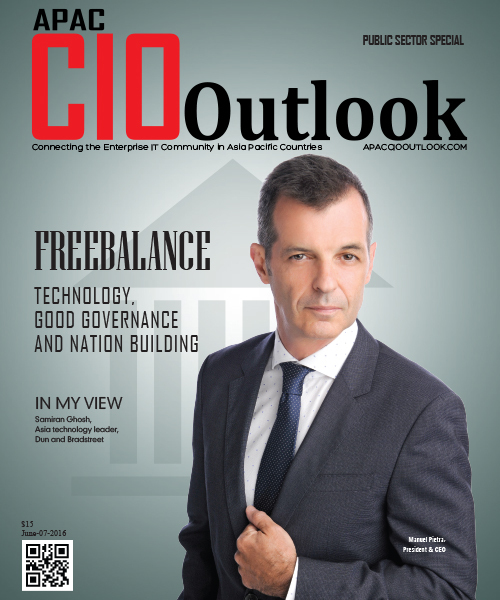 The transformation within the operating model of government agencies from analog to digital has brought a huge wave of opportunities along the way for IT especially within the cloud and Saas sectors. This transformation is not only fueling innovation and giving rise to new business models but are also changing the ways in which people engage with their government as consumers. With a technologically induced framework, government agencies today have a far advanced and systematic approach towards their projects. The police and security services have found a very convenient tool in GPS and GIS technology assisting in transportation forecasting and town planning. All the crucial data and files including government statistics and surveys are being stored digitally with the help of the cloud. More and more public industries are tending towards becoming cloud compliant in order to improve their operational efficiency and reduce costs. The engineering sector also has seen a huge elevation in productivity with the augmentation of manufacturing industries. Also Latest developments in construction technologies have shown a tremendous growth of the infrastructure worldwide. 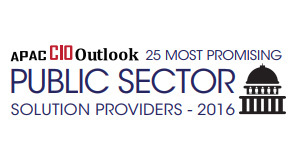 The current edition of APAC CIO Outlook brings you “25 Most Promising Public Sector Solution Providers” The list highlights some of the most prominent organizations of the industry who are capable of leading their clients towards excellence by supporting them beyond an advisory level. The proposed list aspires to assist individuals and corporations to find the right public sector solutions provider, who suits their specific requirements, and help them, accomplish their projects. Specializes in the development and marketing of IT solutions in the field of GIS, logistics and business intelligence based on open source software projects. Provides mobility intelligence to consumers, corporations & governments, leveraging on its integrated suite of mobility applications, enterprise logistics & analytics platforms. Air transport communications and information technology company providing business solutions for global distribution systems and government customers.